There is little choice in AFL Fantasy for you bench ruckman. By little choice I mean without spending over $250k. Most of the Fantasy talk has been about Daniel Currie ($115200 NM) being this bench warmer. But will he play? Last week big Goldstein injured his shoulder in the match and still almost won the hit out counts while North’s forward line looked sad and required an additional tall target. This is the dilemma for North. Play a second ruck which is so desperately needed or bring in another tall forward which is also required. 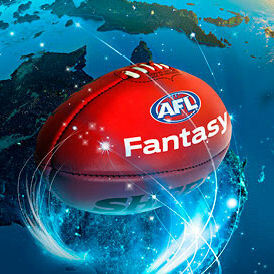 How does this effect your Fantasy ruck bench? Well simple, put Currie on it as your sub $200k player. Majak Daw is a forward target and boy, can he take a grab? But a ruckman he is not. Currie is a strong ruckman but a forward he is not. Goldstein says he is write to play this week vs the Bulldogs and Tarrant is still 3-4 weeks away. My belief is Daw will always get a run on before Currie…..That is unless Goldstein is injured. Daw should not be a consideration when you can get Sandilands or Hickey in the $200-$300K range (That’s if you haven’t gone the budget duo on the field already). This week is Currie’s biggest chance of playing and there just isn’t anyone else to choose from but do no expect for him to play often or make money for you. The only money benefit is not spending big in the rucks and allowing the spend elsewhere. My ruck bench? Well, it currently consists of Currie and Thurlow ($115200 ESS) so I have no permanent bench cover in the rucks. I am trusting my 2 rucks on the field last the season. Which is risky with Sandilands being one of them.